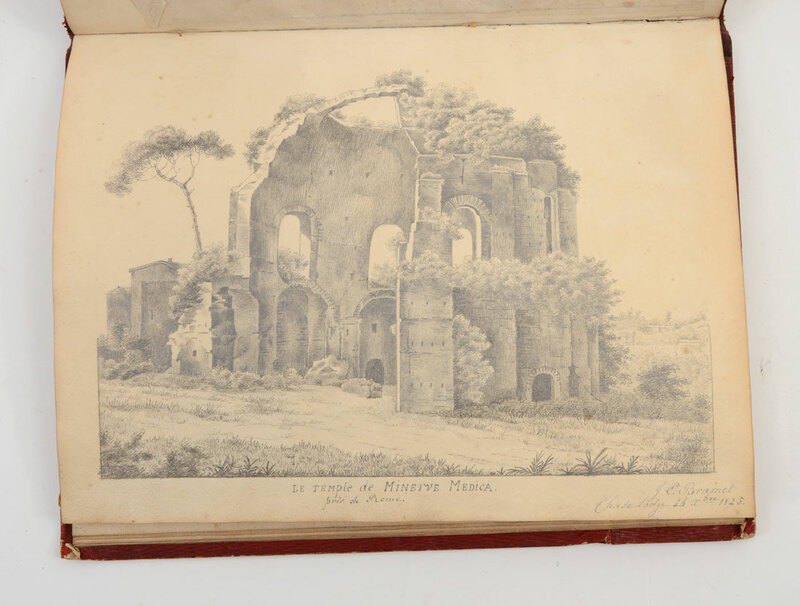 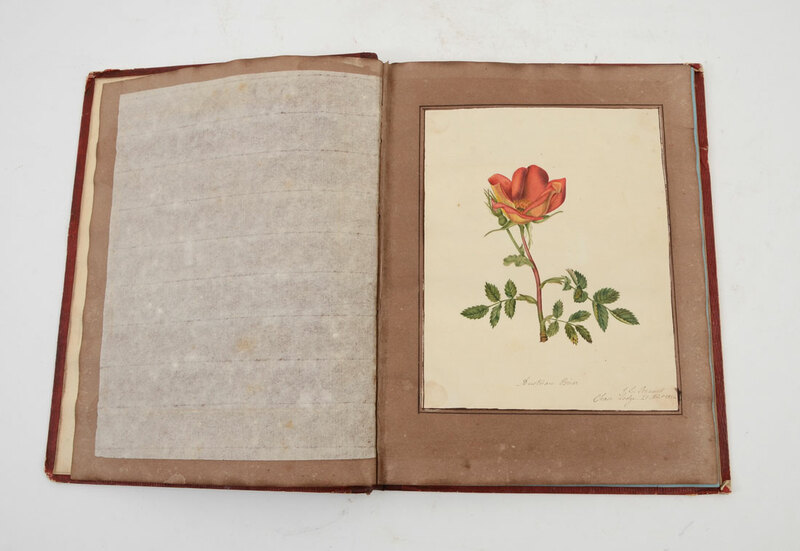 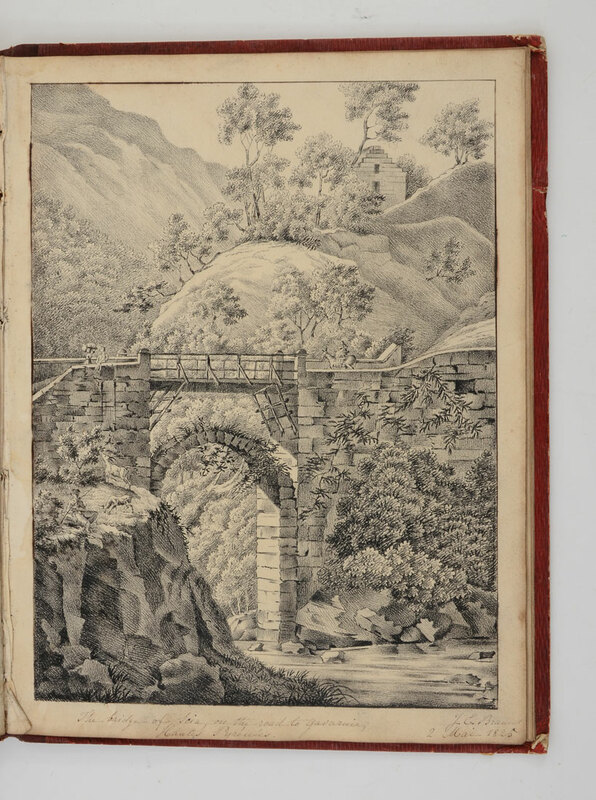 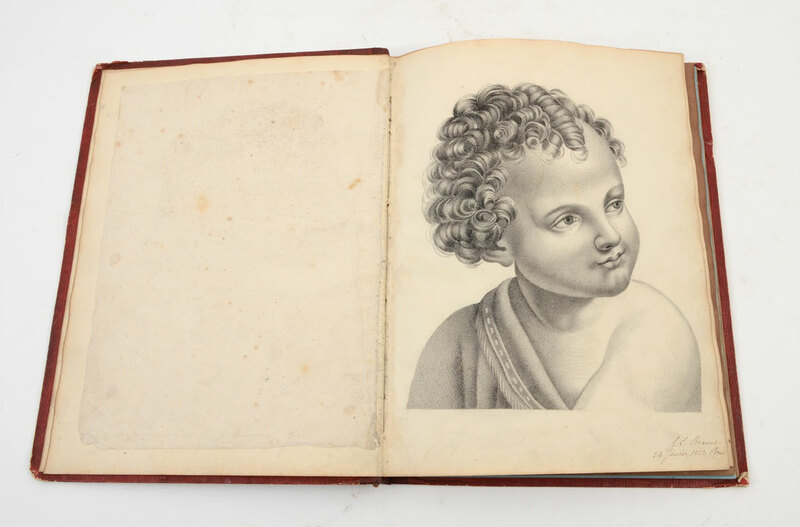 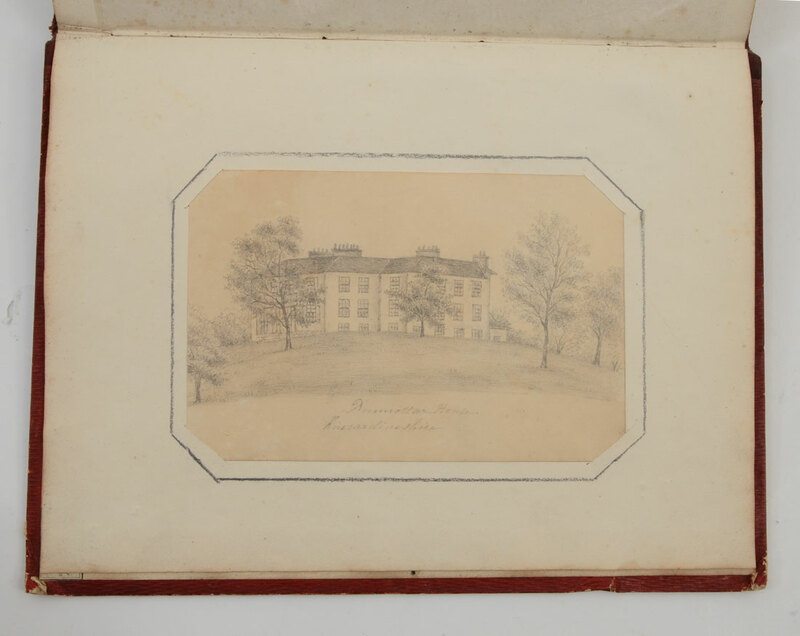 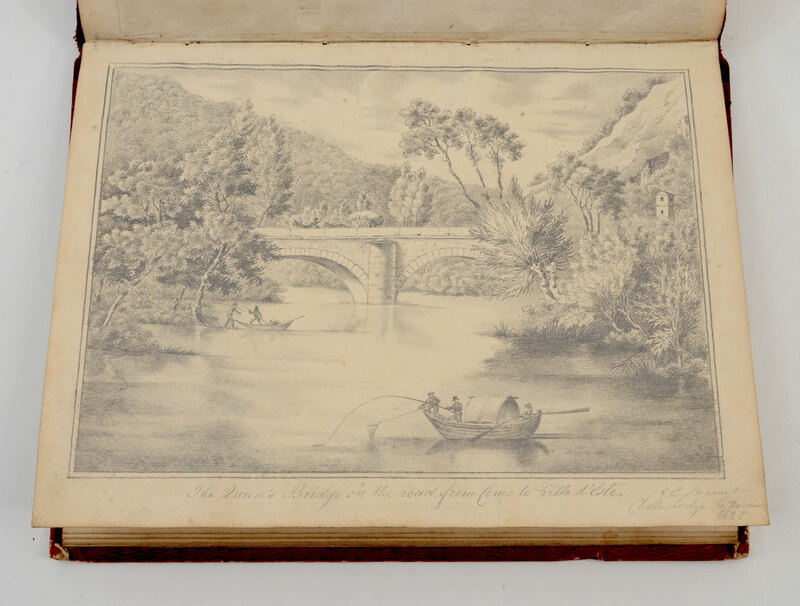 ALBUM OF MASTERFUL EARLY 19TH C. ARTWORKS BY BRAMET: All works signed by J.E. 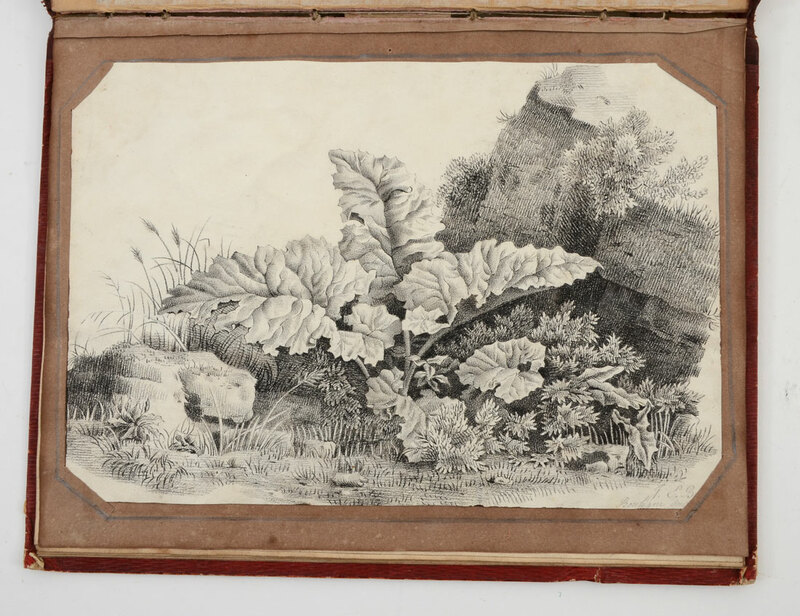 Bramet?, consisting of pen/ink, and pencil drawings as well as watercolor consisting of portraits, landscapes, genre scenes and floral studies. 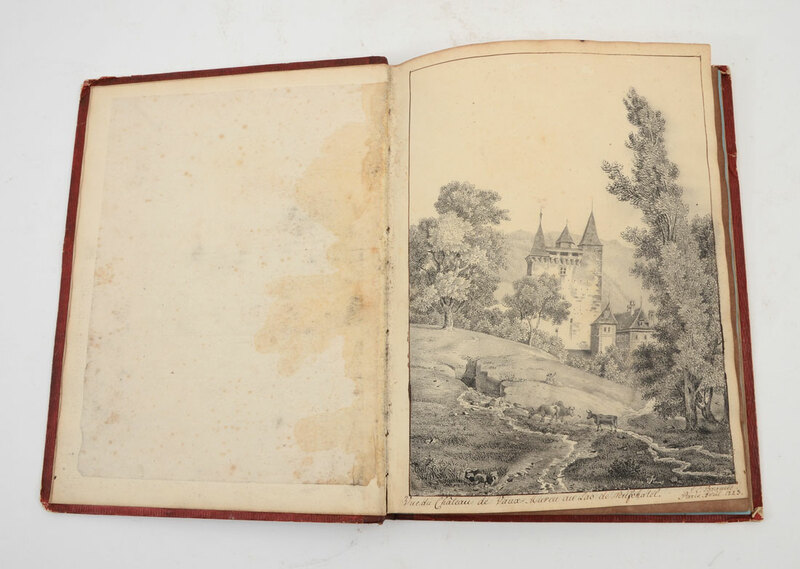 Titles include Dunnottar House, Kincardineshire; Canton de Vaud; Temple de Minerve Medica; and several views of Chile to name a few. 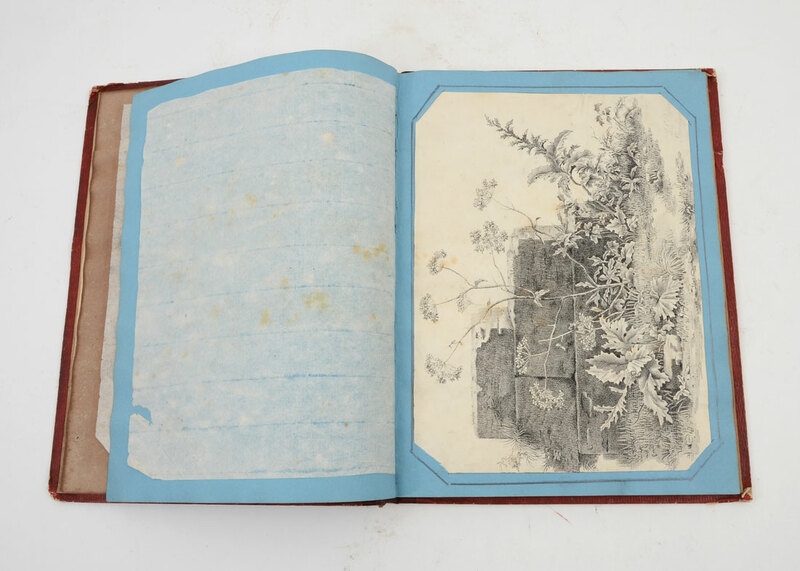 25 pieces in all, scrapbooked in an album measuring approximately 11.5'' x 9''. 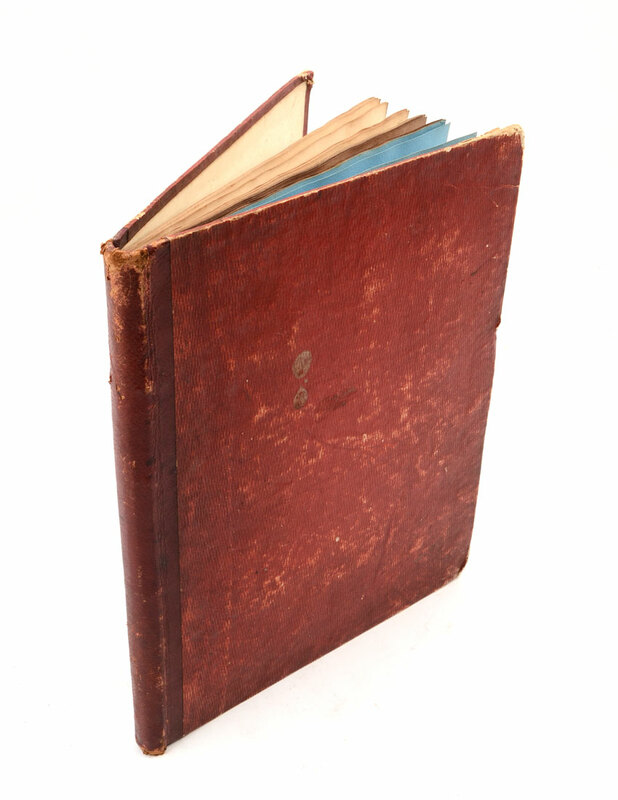 CONDITION: Artworks sold as is, toning foxing and spotting on some, most are in very good condition.